Youngest of Johann Sebastian Bachâ€™s four sons, musician and composer Johann Christian was known as the English Bach. 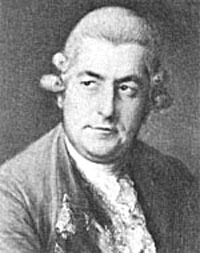 In 1760 he was appointed organist of Milan cathedral and in 1762 he became composer to the Kingâ€™s Theatre in London. Later he became was music master to Queen Charlotte and her children.